Connor Kenway is an old historical character. Dress in distant past was not the same as we wear them today. 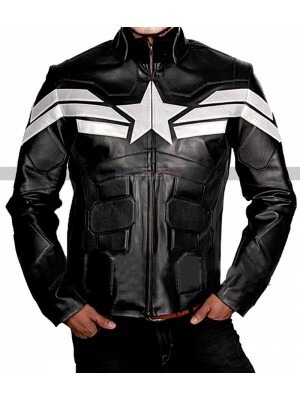 USA leather jackets have manufactured this ancient jacket for their customers. 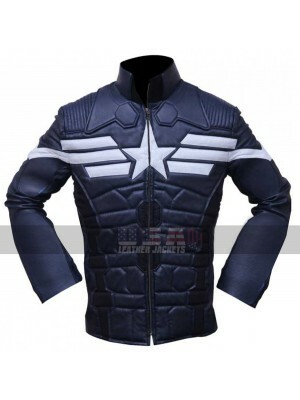 It is a costume jacket, which is created with leather. 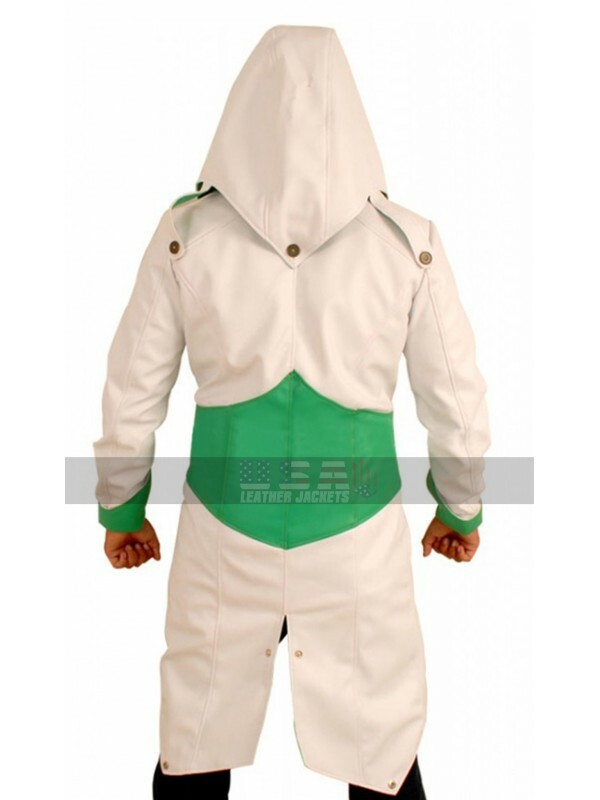 The lining is of viscose to ensure the comfort of the person wearing it. 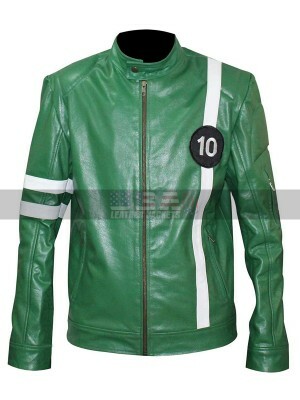 It is a stylish jacket, with two zips at the front. The colors are green and white, which give it an unusual look. 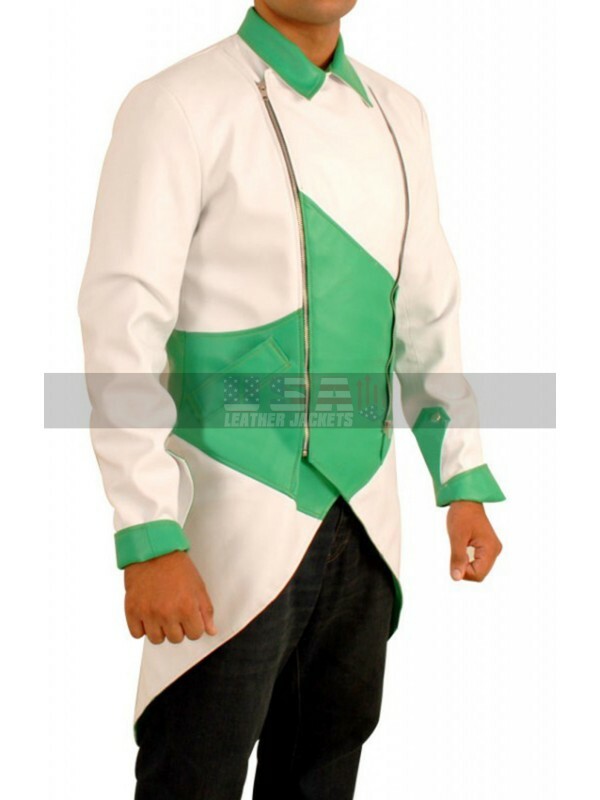 The style of the jacket makes it a unique costume. It has a tail style at the back, while front it quite short. 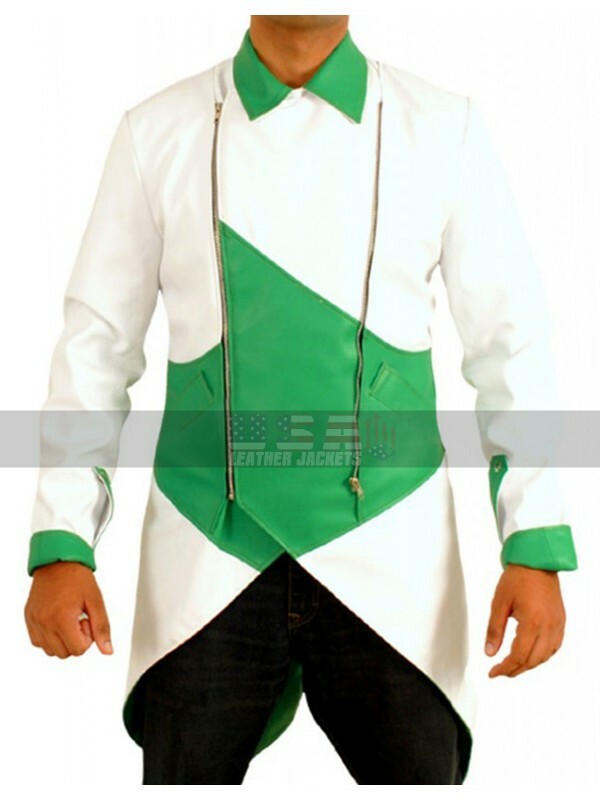 Cuffs and collar are in green color. Two pockets are also given on both sides. A detachable cap is also given to complete the assassin look. 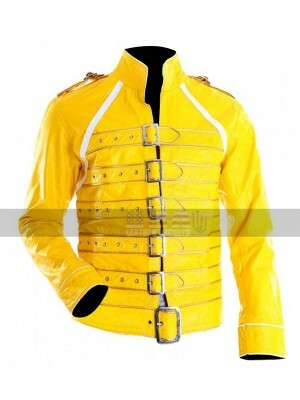 It is perfect for costume parties and cosplay parties. 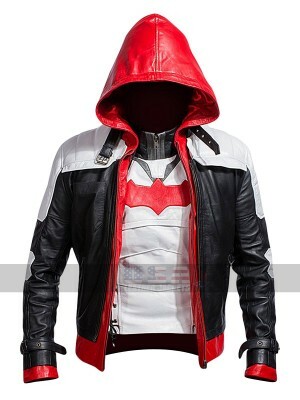 Actors playing the role of the assassin in the theater can also get this jacket to look like the assassins. It is not only for the young people, but senior people can also wear it in costume parties. 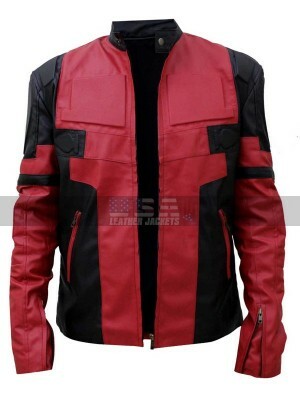 USA leather jackets offer free delivery services for its customers, all over the world. Swarm Ryan Kelley Ben 10 Alien Ben Tennyson&.. 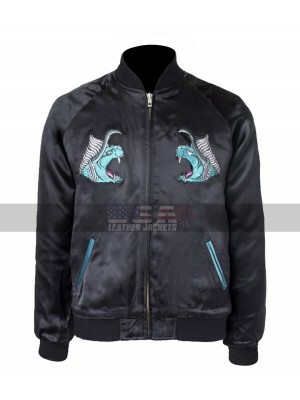 If there is one movie that has spawned dozens of celebrity i..
Noctis Lucis Caelum Behemoth Cosplay Jacket This costume .. 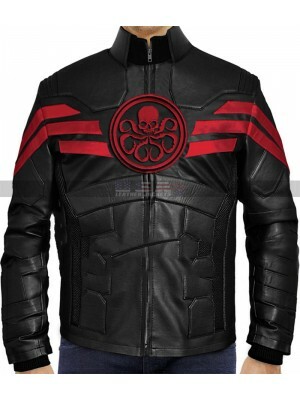 Soldier Steve Rogers Captain America Winter Soldier Bla..
Captain Hydra || thrill me Black Leather Jacket ..